Why do You Walk? Here are the Answers! Yesterday concluded our last “Walk it Off Wednesday” of the summer! 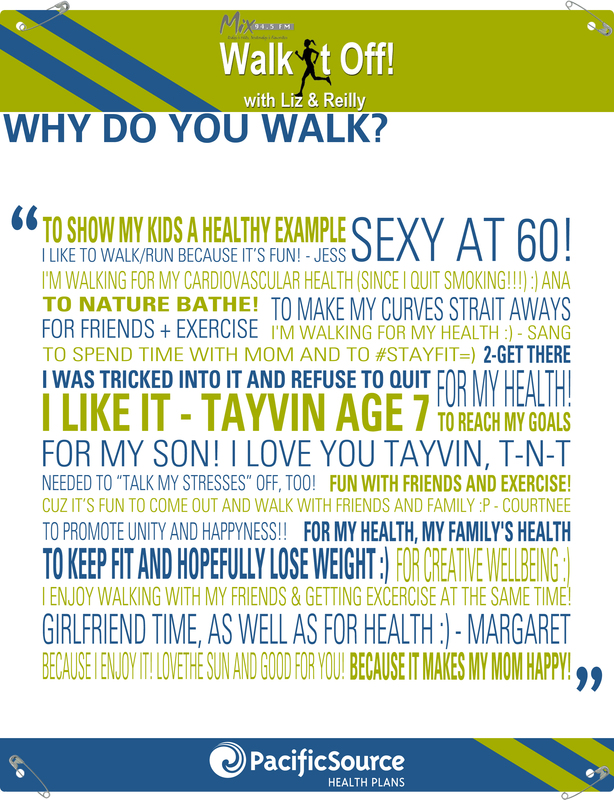 These past three weeks we asked, “Why do you walk?” We received some really good answers… some completely honest, some humorous, and some profound. Here they are for you to enjoy!